Today I'll show you some website copywriting tips. Especially if you're trying to sell products on your webspace, "how to copywriting" becomes essential. Getting your page ranked in search engines such as Google by using the right keywords is one thing, but converting your readers into customers is quite another. 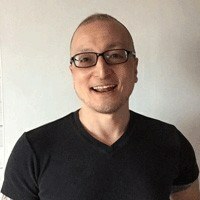 A copywriting technique plays an important part in order to convince people to buy successfully. The first of the website copywriting tips is the "5 P's". This is a story-telling technique to turn your prospects into customers. Also following this "flow" will make a difference in how well you stay on track with your objectives. Users arrive at your page seeking to solve their problem. So firstly you affirm that there is a problem that must be addressed. That will help to set up a sense of urgency, indicate that you may have a solution available at hand. You can tell your own story here, such as a dilemma you often encountered that the readers can relate to. But the key is to not spend a lot of time with lengthy introductions or use too many technical terms that could turn off your readers before you grab their initial interest. Make it as brief as you can. You've just told the users you understand the problem and you've been there before, now you tell them that you can fix this. You promise that your product provides the best solution to the problem and explain why. Put out the main benefits of the product and relate the benefits to common situations that come along with the problem. Typical benefits include (1) time saving (2) cost saving (3) easy to use and (4) problem being solved quickly. You've just offered what you believe the best way to fix the problem, now it's time to prove it. You are going to present all the reasons why yours works better than anyone else's, and how effectively (how quickly and easily) the problem can be made to go away. You can also use case studies or testimonials. After making all the benefits clear, tell the users that a small cost is necessary and show the price. Explain why the product is worth the money. Comparing with other similar products is a good way; for example your product is one of the cheapest in the market, or it may be a little more costly than other competitors offer but it has a quality to compensate. This is where you give one last push, by reminding them about the benefits or adding more benefits. For instance they can't get the same quality for this price elsewhere, or it is a time-limited offer. You can use a summary format for such as a bulleted list. This helps to reinforce the benefits in the mind of the reader and prepare them for the close of the sale. 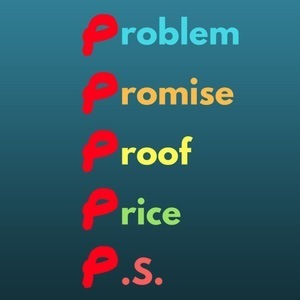 This "5 P's" method can be used with any types of products. Before even creating your own sales page, think of one problem - any problem - and try applying this 5P flow to it. Not only will it help you focus on the key points to sell, but the natural flow will convince the prospects gradually throughout the page without making them "feel tricked". The next of the website copywriting tips is the headline. A headline that grabs attention will always make a difference. But you want to get the right people's attention, i.e. you want the reader to be attracted by the headline and read the body of the text. The headline should be (1) simple (2) memorable and (3) relevant. Recommended maximum length of title tag for search engine optimisation is 65 characters or so. The shorter the better. The longer the title is, the more confusing it can sound. You want to make the headline memorable, you want it at least memorable enough to draw your visitors' attention and interest in the text body to follow. You want your visitors to spread the word and recommend your webpage to others too. If you struggle to make your headline sound memorable, try to come up with some colourful expression, add a surprise/shocking value to make the readers take a second look, or choose words that you think will make people smile. "Solar Garden Lamps: You'll Never Want The Morning To Come" - People would expect some magical, twinkling light element from the lamp that you're selling. Otherwise you'll lose trust and credibility with a description mismatch like that. "Soccer Shoes That Cristiano Ronaldo Would Be Dying To Wear" - Unless he's actually said so and you have the right to sell the very product - mentioning a celebrity's name to lure into your web post is a tacky old trick. Also people as big as Cristiano trademark their brand including their names, so you'll risk being sued for infringement. Just make sure that your readers will get the relationship between the headline and the content if you use a metaphor or double entendre. Thrive Headline Optimizer is great to test your visitors' experiences, allowing you to test multiple number of different headlines. The last of the website copywriting tips is to show you some ways to enhance the effectiveness of your sales page. You must at least have a photo of the product you're selling, but in order to add a little visual spice, you can add some extra photos or illustrations that are related to the content. You can find many sites that provide royalty free images (20 Sites With Dazzling Free Photo Stock Images), place one or two in your page to keep your readers inspired. These extra images should be reduced in size so that they won't overwhelm your sales copy. Adding a short video such as a user instruction or testimonial can be a good idea. For example embedding a link from YouTube. But it really should be brief, clear and meaningful. Don't overdo it. You change the style only to emphasise. If you emphasise all over the place, the whole thing will mean little, and also make the whole page busy and ugly. Be consistent. By alternating bold, Italic and underline a phrase every few paragraph, you'll also make your sales copy messy and lose its credibility. Blue underlined text is not recommended because it looks like a hyperlink. People will click it for nothing! Users' tastes and demands change in time, so you need to rework the page and test it from time to time. Unless the pages sells very successfully (in which case you shouldn't change a thing), there's always a room for improvements. 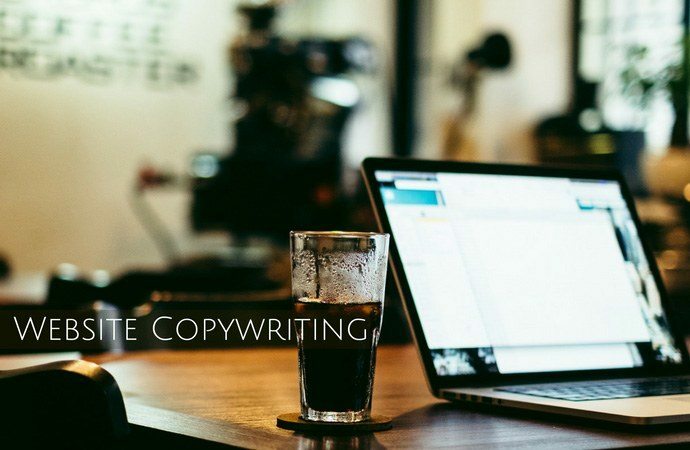 By changing some words, swapping paragraphs or adding fresh keywords, you will naturally learn "how to copywriting" technique. And you can stay one step ahead of your competition.